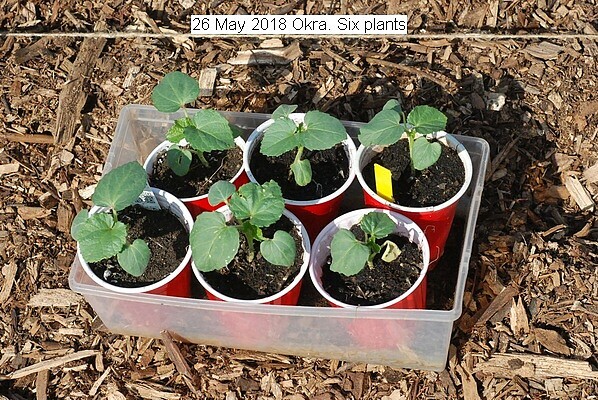 Six OKRA seedlings were planted outdoors. If the Summer is hot they grow well, but they are a topical plant and like Sun and heat. The plants were purchased. This entry was posted in Uncategorized and tagged 26 May 2018 Okra, Okra. Bookmark the permalink.